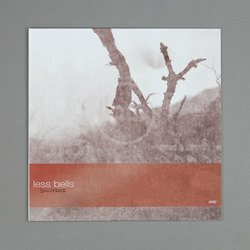 Less Bells - Solifuge. Vinyl LP, CD. Bleep. Kranky (Forma, Tim Hecker) drop the debut LP from Californian drone act Less Bells. Despite being the solo project of one Julie Carpenter, on Solifuge Less Bells conjure a sound that would have you thinking they were a ten-piece band if you didn’t know better. By layering strings, synths, voice and Optigan (we didn’t know what that was either - turns out it’s a funny kind of organ) Carpenter manages to create a series of cinematic ambiences here. The abstract and widescreen instrumentals of Nick Cave & The Bad Seeds’ Skeleton Tree comes to mind, as does Cave & Warren Ellis’ film score work. ‘Golden Storm’ also displays a little New Age influence.